For Paul G. Adams & Associates, Inc. I am extremely happy with the final product. Working with Paul was a great pleasure. He is very professional, efficient, and true to his word. I have had so many questions about my project but Paul answered patiently ALL of them. I was afraid he might be slightly annoyed with me ( I was going back and forth on the finish, type of veneer , color, etc. ) but he gracefully put up with me throughout the entire process. I would HIGHLY recommend Mr. Adams to anyone-- he is highly skilled in his profession. Ps. This was my very first experience on Custommade and I am so pleased that it was such a positive one. 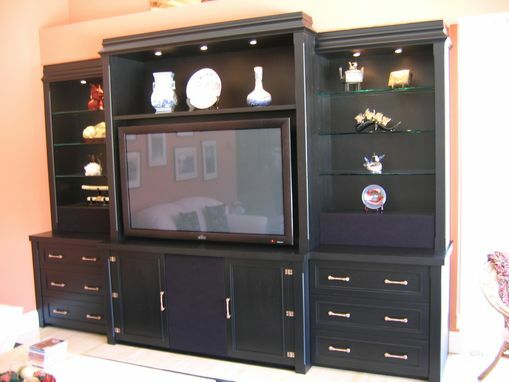 Africian Mahogany TV and display cabinet with recessed overhead lighting built in speaker compartments, storage for dvd's and glass display shelves. 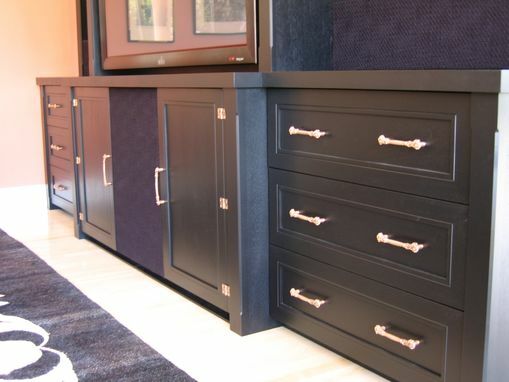 The finish is a satin black conversion varnish. 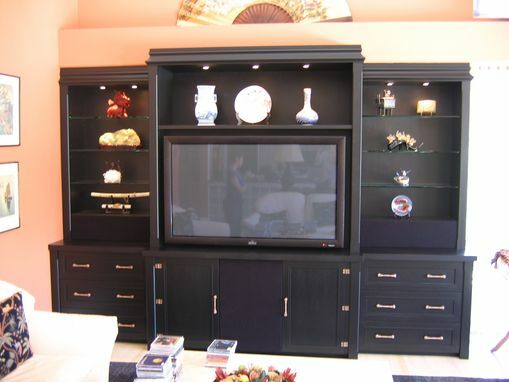 By Paul G. Adams & Associates, Inc.
Every maker has a story. Be a part of Paul G. Adams & Associates, Inc.'s story by placing an order, leaving a review, and seeing your review appear here.